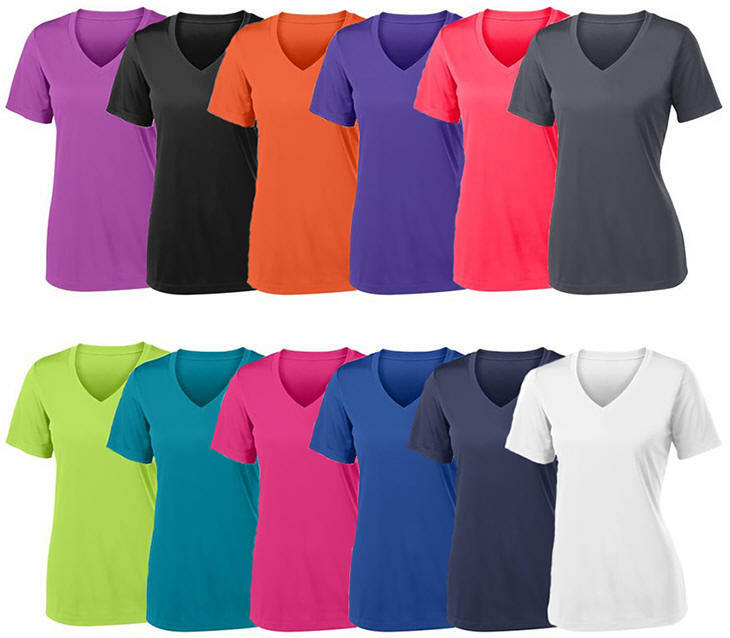 * Pro-Tech UPF 50+ long or short sleeve under $25 including your logo. No matter what the season, we've got you covered. Make 2019 the year you dress your crew in premium gear. You have put off getting the crew new gear in the hope that the 60% off deal would come back around one last time. THAT TIME IS NOW. Your team can look Pro this year with Pro-Tech in short or long sleeve for under $25 including your logo. But don't wait to order, this deal will come to an end before you know it. All you need to get the free logo on the left chest is an order of eight or more and enter the coupon code "Best Crew" at checkout. If you only need five, six or seven shirts then use coupon code "BEST CREW 25" at checkout and get 25% off your order. 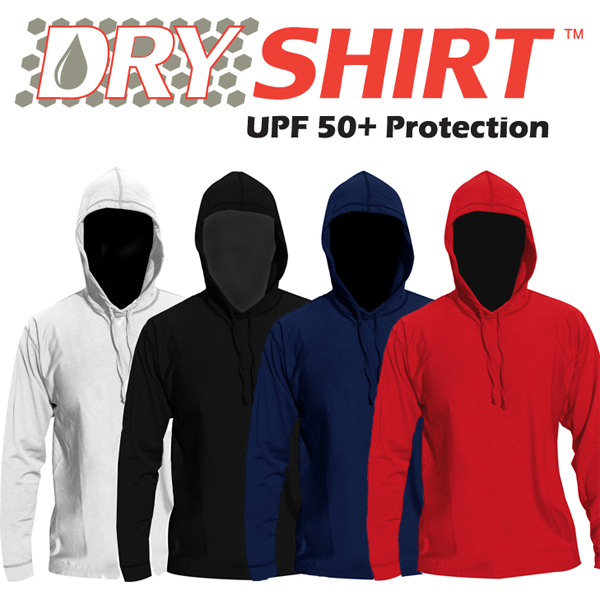 UPF 50+ moisture wicking hoodies are also 60% off. Screen printing or embroidery available on the Pro-Tech for slightly more money. 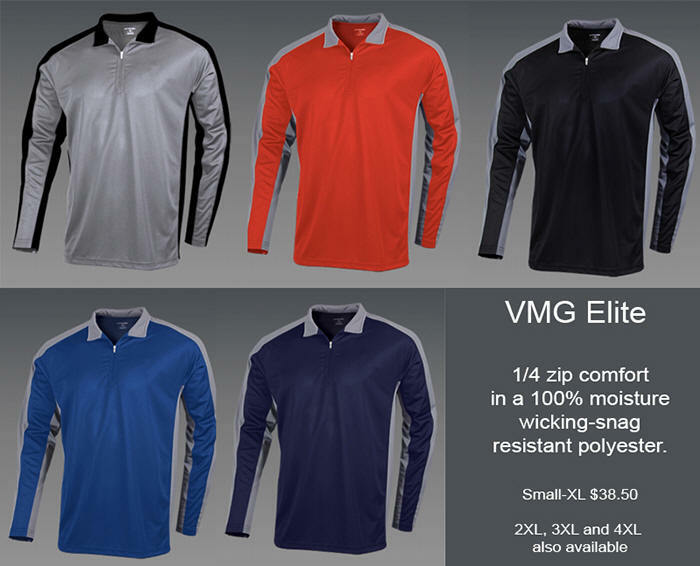 VMG Elite UPF 50+ 1/4 zips. 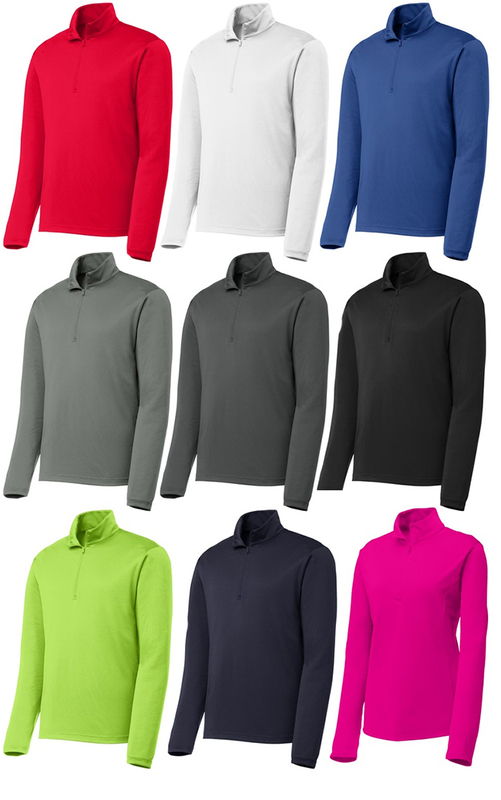 You have been asking for a light weight 1/4 zip moisture wicking tee now for a couple of years. The result is the new VMG Elite. 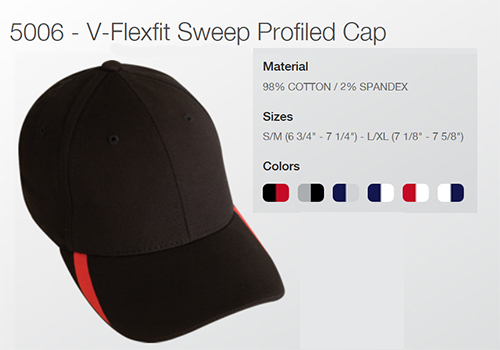 5.0oz 100% moisture wicking fabric will keep you cooler in any conditions with the addition of a venting zipper. These are available in small through 4X-Large. Dye sublimation on the titanium color is available. Screen printing and embroidery is available on all other colors. Email mark@dryshirt.com with your artwork once your order has been placed with your artwork or just a description of what you would like to see us create for FREE. Our art team creates great looks every single day. 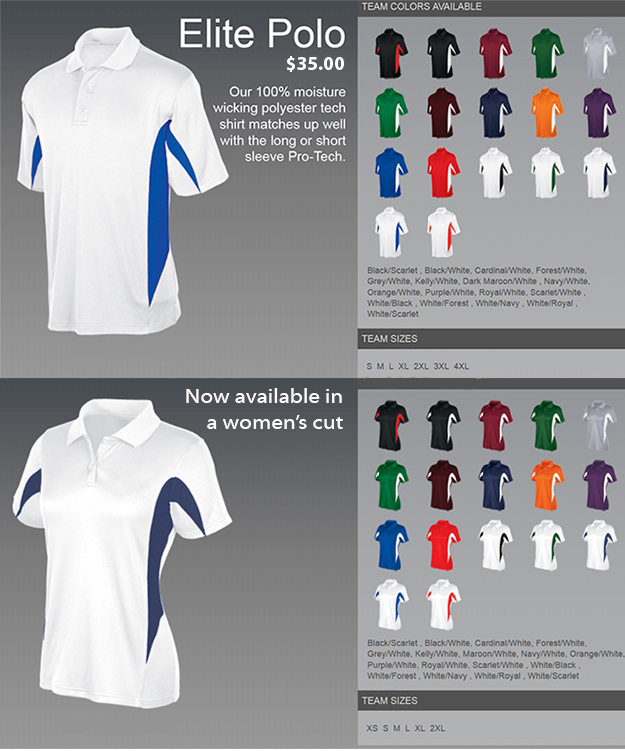 The Pro-Elite Polo comes in a men's and women's cut. 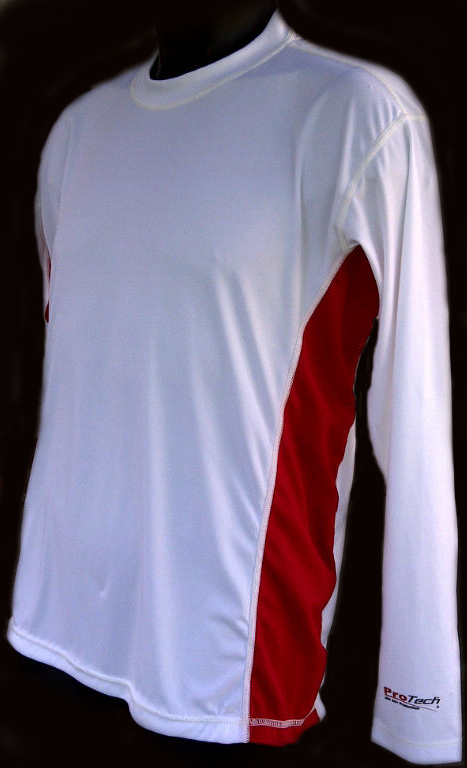 100% Moisture Wicking fabric with anti-microbial for odor control. The adult True sport long sleeve are an exact color match for the women's V-neck. 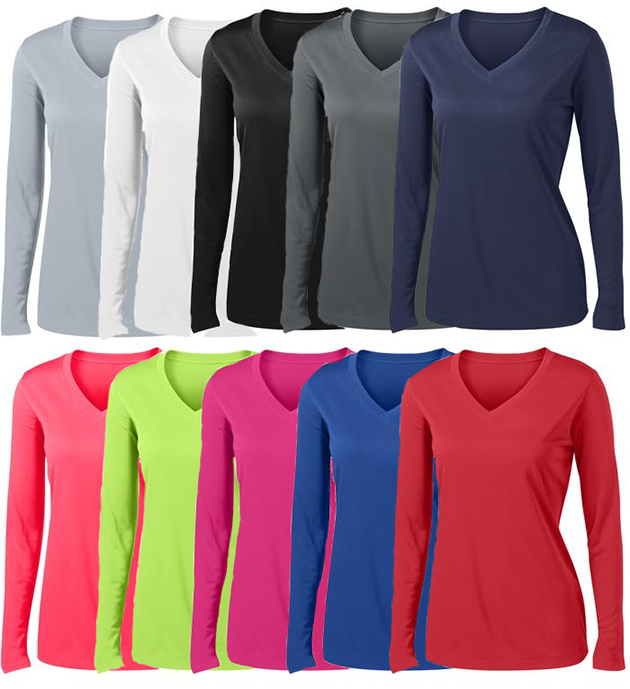 Long sleeve moisture wicking tech tees are just $12.99. No minimums. 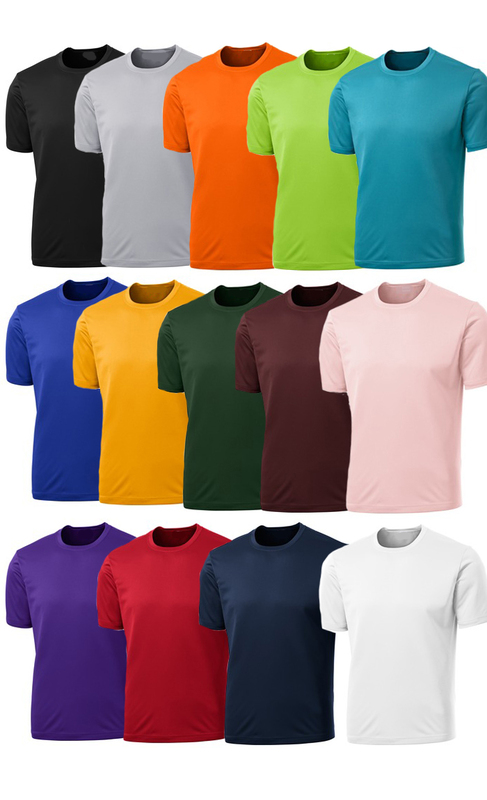 True Sport tech shirts come in a wide variety of colors and the light colors can be dye sublimated and the darker colors can be screen printed or embroidered with your logo. We help keep you dry head to toe. Step into water repellent and breathable underwear for the most comfortable experience in outdoor sports EVER. The most comfortable underwear on the market today. No more wet underwear under your quick dry shorts. Finally we have hats to fit any budget. Our embroidery service is the best in the business and our prices are competitive. Hats starting as low as $5. 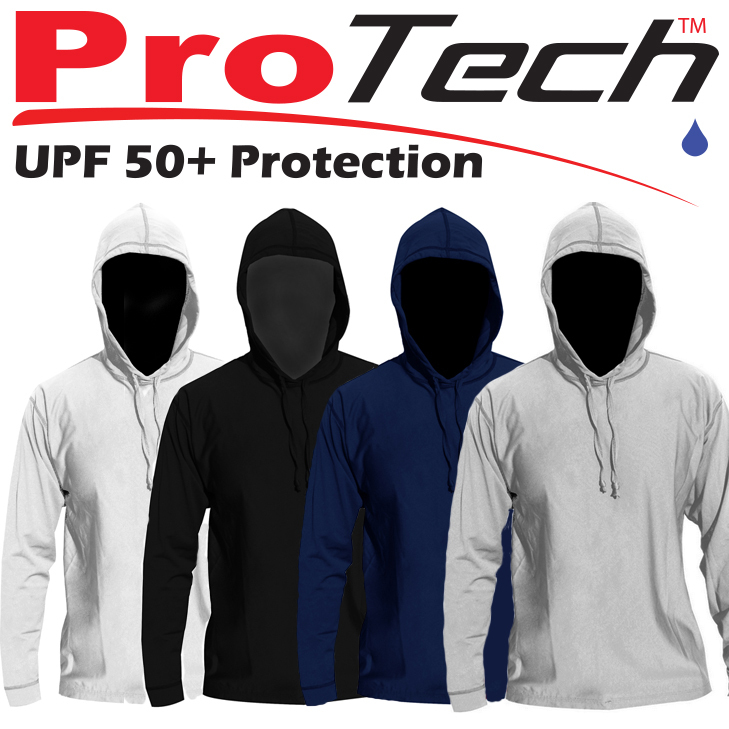 The Adult Cut UPF 50+ water repellent and highly breathable hoodies are ideal on or off the water. They also come in a women's cut with matching colors to the men's. Youth sizes also available. Designed to fit a women's shape, these fitted hoodies will make you look your best while protecting you from the elements. Available in a wide variety of colors including Pink, Caribbean Blue, White, Green and Navy. Our women's DRYSHIRT hoodie is the ultimate in fashion and protection. Hoodies are sold WITHOUT the logo on the chest. Add your logo or leave it blank for a clean modern look.